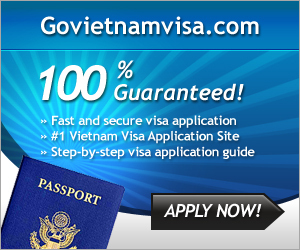 In early summer days, Hanoi is highlighted with flower seasons in blossom, shimmering with sunshine. However, lotus flowers in ponds are most outstanding and most attractive to visitors. 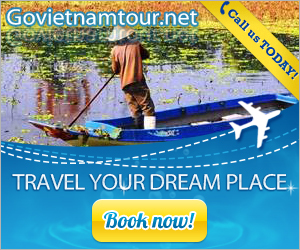 Together with Hanoi-online to admire gorgeous beauty of lotus blossoms in summer days. In early morning, lotus pond owners and pickers quickly get to lotus ponds, choose round buds and arrange them on small boats in downstream Westlake, creating simplicity and peace between the ancient city. In late afternoon, people flock to West Lake to admire noble and pure beauty of lotus flowers. 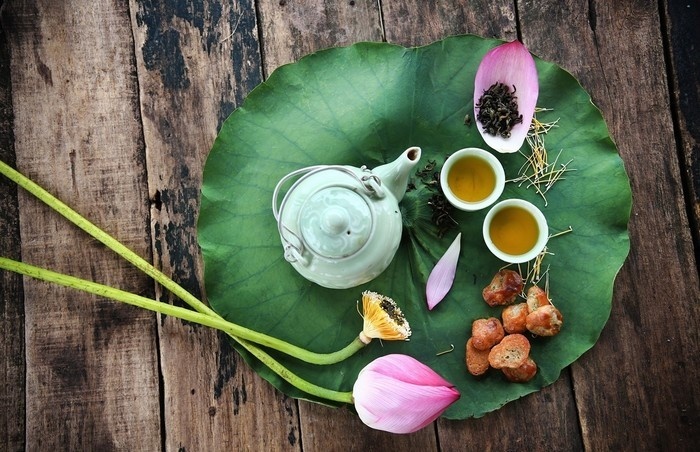 Elderly people sip fragrant cups of lotus tea while the young wear ao dai to take photos. The whole lotus pond is more bustling and crowded than ever. 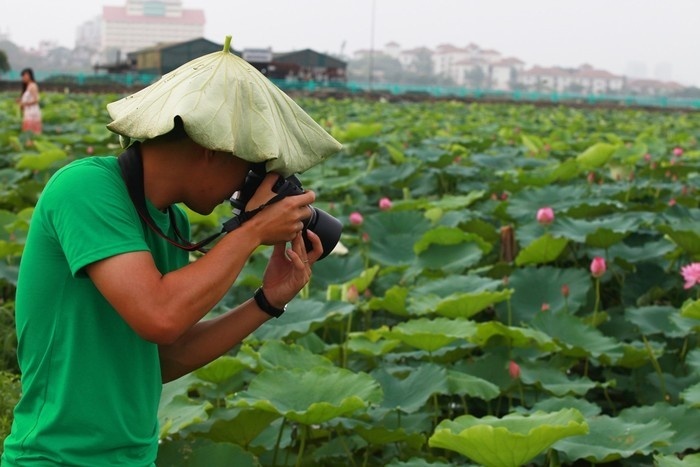 Tourists feel interesting in taking photo with lotus flowers. 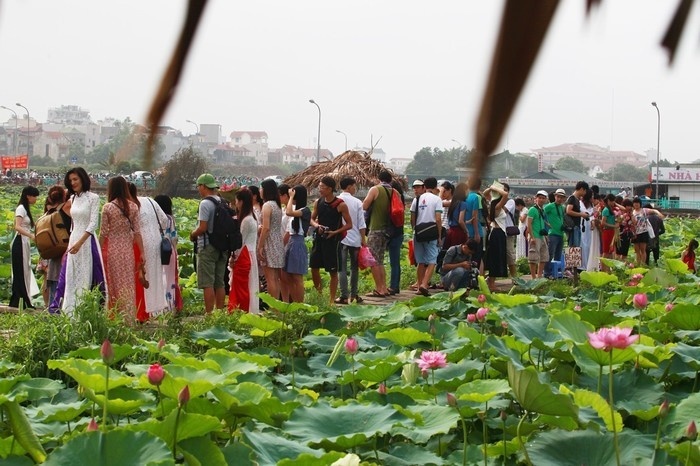 In Hanoi city tour, tourists have a chance to enjoy Dishes Made of Lotus in Early Summer. 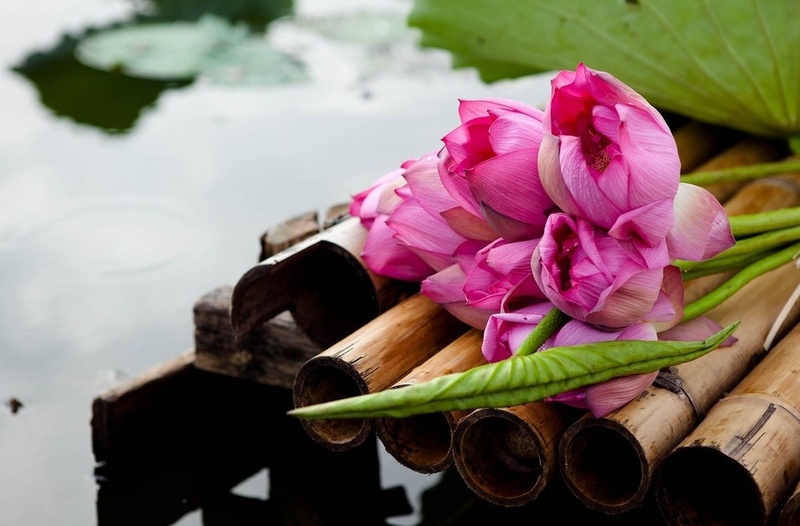 Pink and white lotus flowers are not only beautiful but also nutritious with a lot of dishes such as: lotus tea, lotus root salad, etc. 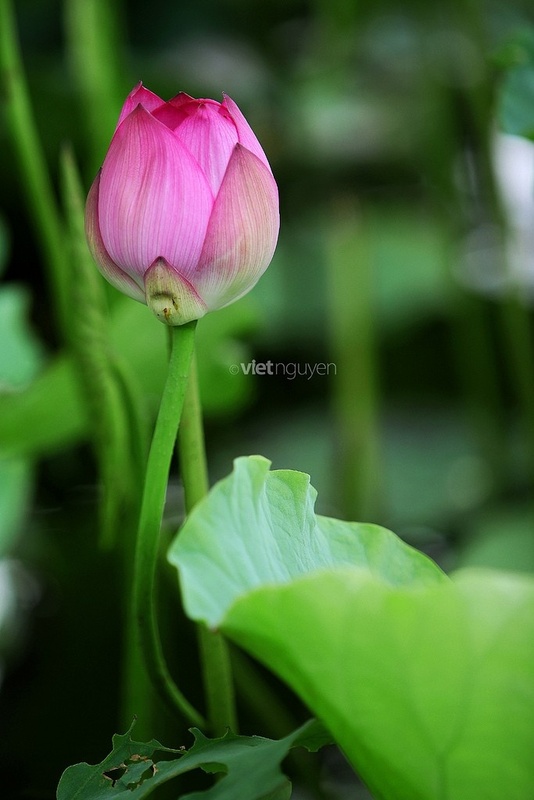 According to the flow of time, the lotus blossom season brings own flavor for Hanoi in general and West Lake in particular. West Lake lotus ponds in early days are more romantic and poetic than ever. 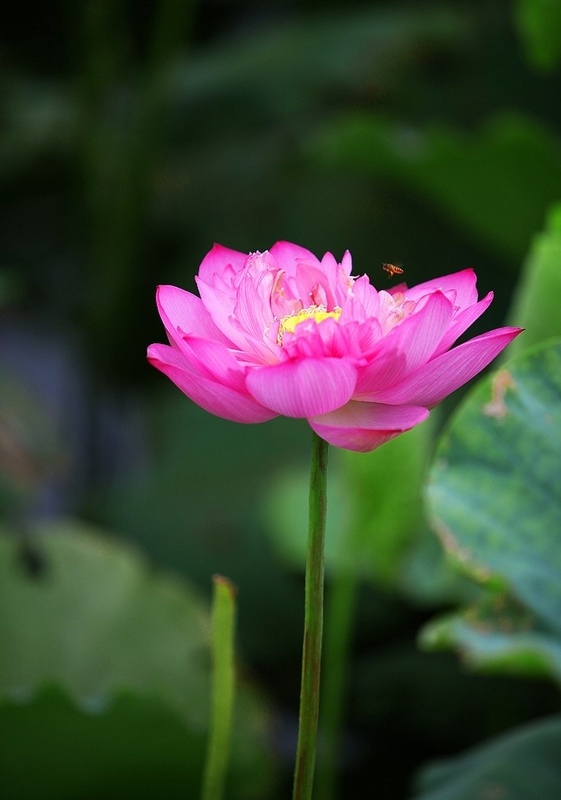 Lotus images are associated with capital people’s memories and travelers near and far. In lotus blossom season, Hanoi Westlake becomes busy, bustling and crowded. Nevertheless, standing before a large lotus pond, visitors in Hanoi and local people here would always find a space of peace and fresh emotions which reduce feelings of stress and sadness in the everyday. At the same time, Westlake lotus flowers are also endless inspiration for photographers and composers. In your Hanoi city tour, tourists can hire a small boat sailing to middle lotus pond, enjoy fragrant cups of lotus tea and chat with friends. 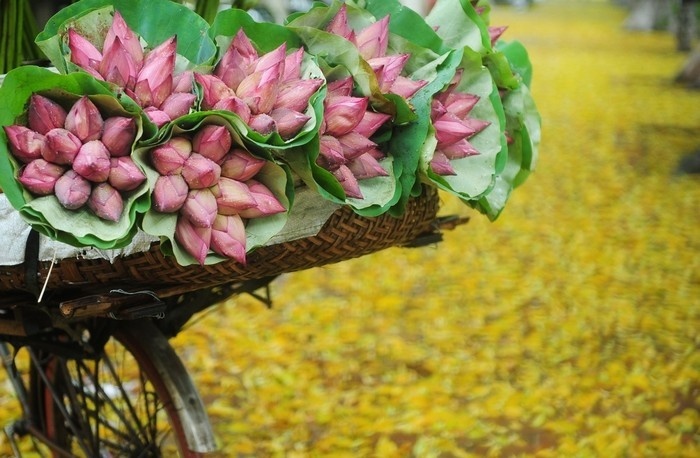 Nearby streets, old bikes or street vendors are filled with bunches of lotus flowers as well as lotus buds. 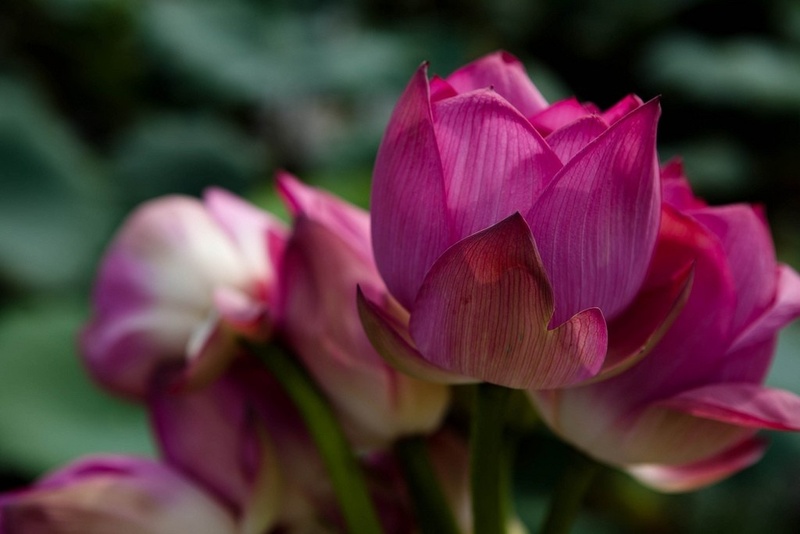 Visiting Westlake lotus ponds, you can buy some bunches of lotus flowers to decorate your room and present your beloved ones. Lotus blossom season in Hanoi in early summer days always brings wonderful feelings to tourists. Street vendors sell lotus flowers in every corner of Hanoi streets.